Jesus Christ — Our Great King! From the records, we can read of numerous kings that have lived and reigned from different periods of time, from various cultures, and through wide stretches of our world’s history. Kings, who for many people, had been as common as the rising and the setting of the sun or the incoming and outgoing of the tides. Israel and Judah, for example, certainly had their share of kings to lead them down life’s path; but sometimes making that a treacherous course for them, due to their own ungodly leadership, such as in the case of Jeroboam and all the kings of Israel who were similar. Not one of those kings was considered good, though the southern kingdom of Judah had several who were noteworthy rulers whom we can be encouraged by for their noble and valorous stand for godly principles, their efforts that brought about moral reform and restoration to the ways of the Lord, and the positive influence they had on their people. In thinking of these, perhaps men like David, during his early period, and Solomon when he was first starting out, come to mind. Or maybe also Hezekiah and Asa who were two of the best kings of Judah. But in today’s article, let us take the time to think about the greatest king of all — and one who is prophesied in the OT — and whom the Bible refers to as being the “King of kings and Lord of lords” (Rev. 19:16): Jesus Christ. “He is just and endowed with salvation.” Who could be more just than the Son of God? In the Scriptures, the term “just” denotes “fair” and “righteous”; and we think of Jesus as one who always dealt fairly with everyone. He was not swayed by partiality (Rom. 2:11), by bribery, by peer pressure, nor by any other dissuasive influence; for the very fact that He was “righteous” indicates that he always “did right,” as also brought out in John 8:29: “…He has not left me alone, for I always do the things that are pleasing to Him.” His judgments were “righteous judgments,” based on the standard of His Father’s word (John 7:24), as ours also must be; and as He rules from His throne, it is a “righteous scepter” that is “the scepter of His kingdom” (Heb. 1:8); for He is “Jesus Christ the righteous” (1 Jn. 2:1). And “righteousness” also describes a way of life: holiness put into practice (cf. 1 Jn. 3:7). To be “endowed” is to be provided, furnished, or equipped with; and when it comes to salvation, that can be found in no other but Jesus (Acts 4:10-12). Christ is not merely one who points the way to salvation — He is that way, that truth, and that life! (See John 14:6.) It is only by being in Christ that one can be a “new creature” (2 Cor. 5:17), be a part of the family of God (Gal. 3:26,27), be freed from condemnation (Rom. 8:1), serve as a faithful servant of the Lord (Jn. 15:4-6), and have “every spiritual blessing in the heavenly places” (Eph. 1:30). Jesus is our salvation! And that is what His very name signifies. But the term “name” also means so much more; for it is a word used to stand for a person’s character, his moral worth or lack thereof. Note what the Bible continues to state about Christ’s name: “Therefore also God highly exalted Him, and bestowed on Him the name which is above every name, that at the name of Jesus every knee should bow, of those who are in heaven, and on earth, and under the earth, and that every tongue should confess that Jesus Christ is Lord, to the glory of God the Father” (Phil. 2:9-11). As great as Christ was and is, He is also characterized with humility, as seen in Zechariah 9: “humble and mounted on a donkey.” There was no arrogance that exuded from Him. The fulfillment of Zechariah’s prophecy is seen in Matthew 21:1-9, in which the Lord is depicted as being “meek” (v. 5). The Greek word for this term is translated as “gentle” in the New American Standard Bible — and in several other verses. For instance, it is the same Greek word in Matthew 11:29, in which Jesus urges all those who are weary and heavy-laden to come to Him, to take His yoke and learn from Him, for He is “gentle and humble in heart”; and by their doing so, they shall find rest for their souls. Though the secondary definition of meekness, in a modern dictionary, is “spiritless” or “tame”; its primary definition is “humbly patient or docile, as under provocation from others.” Bullinger defines the Greek word as “meek, gentle, enduring all things with an even temper, tender, free from haughty self-sufficiency, tender of spirit…is rather the exhibition of that tenderness in bearing with others” (A Critical Lexicon and Concordance to the English and Greek New Testament, p. 492). To think of Christ’s meekness is to think of how well controlled He was. He has the eternal power to create the universe and to destroy it, yet when He was being mocked, humiliated, and tortured to death, He remained meek. “…while being reviled, He did not revile in return; while suffering, He uttered no threats, but kept entrusting Himself to Him who judges righteously” (1 Pet. 2:23). Keeping all that power under control, to the point that He could willingly yield to a most excruciating torment, without trying to strike back or alleviate the pain (such as in calling on “twelve legions of angels,” Matt. 26:53), and even while mercifully praying for those who were insulting Him (Luke 23:34), is all a demonstration of our Lord’s meekness and gentleness. Zechariah foretold that Jesus would “speak peace unto the heathen” (King James Version). The NASB translates this last term as “nations.” To the Jew of that period, anyone who was not also a Jew was a heathen; and they, therefore, didn’t have much to do with them. Christ, however, brought a message of peace to the Gentiles, as well. Though His primary mission, while on earth, was to the “lost sheep of the house of Israel” (Matt. 15:24), He still dealt with those who were not of Israel. This we see in John 4 with the woman at the well. She was a Samaritan, so even looked down upon more so than a Gentile by the Jew; and she knew that the “Jews have no dealings with Samaritans” (v. 9). But Christ’s mission on earth would ultimately be for the benefit of all mankind. As God had told Abraham, so many hundreds of years prior, “And in your seed all the nations of the earth shall be blessed….” (Gen. 22:18). Paul clearly shows that this “seed” promise pertains to Jesus (Gal. 3:16,19). This is also what Peter meant, whether he fully realized it or not, when he spoke of the blessings that would be made available in Christ: that “the promise is for you and your children, and for all who are far off…” (Acts 2:39). The “all who are far off” includes the Gentiles. As Zechariah’s prophecy went on to show, concerning the vastness of the Lord’s rule: “And His dominion will be from sea to sea, and from the river to the ends of the earth” (9:10). Christ’s reign is universal. It is even over the atheist. Though there are some who are of the persuasion that the alien sinner (one who has never become a Christian) is not subject to the laws of the kingdom, God’s word continues to show that non-believers can be guilty of violating those laws — even before they become Christians. In 1 Corinthians 6:9-11, for example, Paul enumerates several specific sins that the Corinthians had formerly been guilty of, prior to their conversion; but now they had repented of those things and were washed, sanctified, and justified in the name of the Lord. The point is: They could not have been previously guilty of those transgressions, unless the law of the kingdom also pertains to non-believers. So, undoubtedly it does; as Paul also shows in Romans 4:15, “…for where no law is, there is no transgression.” The fact that down through the years, people who have reached an age of accountability have become sinners, indicates that they had been subject to a law of God that they violated. John tells us that “…sin is the transgression of the law” (1 Jn. 3:4). Because Christ is King, He is also the lawgiver. As He states in John 12:48, “He who rejects Me, and does not receive My sayings, has one who judges him; the word I spoke is what will judge him at the last day.” Christ’s words are laws of the kingdom. And, again, we are made aware that all mankind must give allegiance to the New Testament — for its laws are binding on all. Many people today wrongly view Christ as being a king without a kingdom. They tell us that He won’t have one until He returns to set one up in the millennium. Even if this future “earthly kingdom” were true, would those who would be in it be any more special than those in God’s church today? Peter writes, “But you are a chosen race, a royal priesthood, a holy nation, a people for God’s own possession, that you may proclaim the excellencies of Him who has called you out of darkness into His marvelous light; for you once were not a people, but now you are the people of God; you had not received mercy, but now you have received mercy” (1 Pet. 2:9,10). How could a people be any more special unto the Lord than to simply be the people of God who are in the church of the Lord? Christians, however, are in the kingdom — right now! John the apostle testified toward this in Revelation 1:9, “I, John, your brother and fellow partaker in the tribulation and kingdom and perseverance which are in Jesus….” In addition, Paul informed the Colossians that God “…delivered us from the domain of darkness, and transferred us to the kingdom of His beloved Son” (Col. 1:13). And since Christ is ruling as a King, at this moment, how could He do that without a kingdom to rule over? Though our premillennial friends speak about a literal 1,000-year reign of Christ, the Bible shows that Jesus has been reigning since the time of His ascension — so almost 2,000 years now! Psalm 2:6,7 prophesies of Christ’s resurrection and being made King of kings: “But as for Me, I have installed My King upon Zion, My holy mountain. I will surely tell of the decree of the Lord: He said to Me, `Thou art My Son, today I have begotten Thee.”‘ In Acts 13:30-38, we find this phrase of being “begotten,” and the day it pertains to, being used figuratively to refer to the resurrection of Christ. Paul states, “And we preach to you the good news of the promise made to the fathers, that God has fulfilled this promise to our children in that He raised up Jesus, as it is also written in the second Psalm, `Thou art My Son; today I have begotten Thee.’ And as for the fact that He raised Him up from the dead, no more to return to decay, He has spoken in this way: `I will give you the holy and sure blessings of David'” (vv. 32-34). Many kings, down through time, have been outright cruel and barbarous toward their own subjects; but this certainly can’t be said about Jesus. As we alluded to earlier: Christ has given the great invitation for all who are weary and heavy-laden to come unto Him because He is “gentle and humble” and will give rest to them through their compliance with His word. How many kings of old would have given their lives for their people — or would have made just half the sacrifices that Jesus made for even those who were His enemies? In Mark Twain’s “The Prince and the Pauper,” the young prince traded places with a poor young boy. What a switch! In seconds, the prince became a pauper, dressed in rags, and began to live the life of such. This trading of places, however, does not even come close to what happened when Jesus left the glories of heaven in order to become a servant among men (Phil. 2) and die that humiliating and painful death upon the cross, while mocked and reviled by the onlookers. The Bible says, “For you know the grace of our Lord Jesus Christ, that though He was rich, yet for your sake He became poor, that you through His poverty might become rich” (2 Cor. 8:9). The Lord gave all He could for us — even His very life! If people long ago had to be in subjection to their earthly kings, then how much more do we need to submit to the King of kings and Lord of lords?! And how much more should we want to, realizing who the Lord really is, how much He loved us, and how good He can be for us throughout eternity? Christ is not a tyrant, in the sense of being oppressive or unjust. If you want to become one of His loyal subjects, you must willingly submit your life to His rule by your faith and obedience to the gospel. This is done by hearing His word (Rom.10:17), believing in the deity of Christ (Jn. 8:24), repenting of sin (Luke 13:5), confessing faith in Christ (Rom. 10:9,10; Acts 8:36-38), being baptized in water unto the forgiveness of sins (Mk. 16:16; Acts 2:38; 22:16; Rom. 6:3,4; 1 Pet. 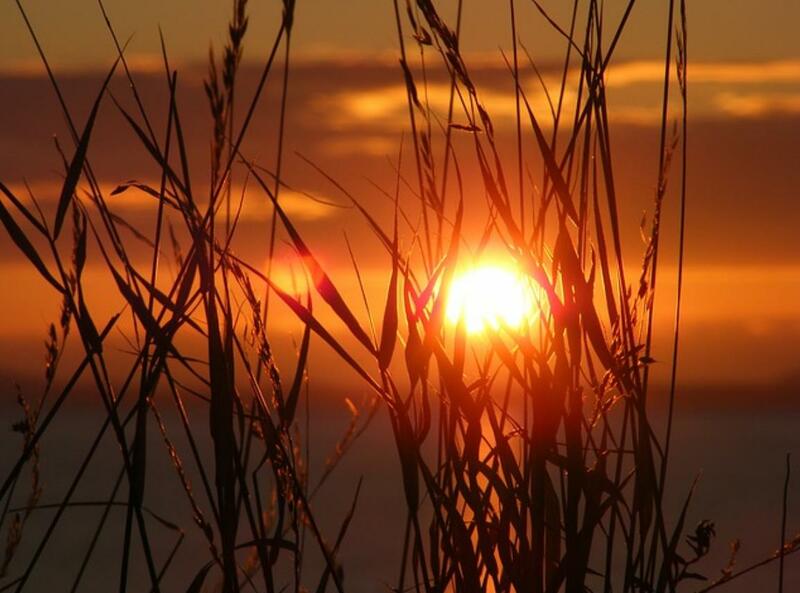 3:21), and striving to live faithfully unto God with that great goal of heaven in mind (Rev. 2:10). May we each always strive to allow Jesus to reign on the throne of our heart and show that by the way we live unto Him. A familiar, figurative phrase found in the Bible, as well as in some spiritual songs, likens God to a Potter and His people to the clay that He fashions according to His desire. Also in this figure of God being the Potter and His people being the clay, what else does it imply? Do we not see the greatness of the Potter over the clay? Isaiah rhetorically asks, “Shall the potter be considered as equal with the clay, That what is made should say to its maker, ‘He did not make me’; Or what is formed say to him who formed it, ‘He has no understanding’?” (Isa. 29:16). And elsewhere, “Woe to the one who quarrels with his Maker — An earthenware vessel among the vessels of earth! Will the clay say to the potter, ‘What are you doing?’ Or the thing you are making say, ‘He has no hands'” (Isa. 45:9). In view of Isaiah’s confession that “…all of us have become like one who is unclean, And all our righteous deeds are like a filthy garment; And all of us wither like a leaf, And our iniquities, like the wind, take us away” (Isa. 64:6), he then looks to God and says, “…You are our Father, We are the clay, and You are the potter; And all of us are the work of Your hand” (v. 8). Yes, it is to God whom Isaiah looks for help. But was it God who made them unclean? But, again, is it God who simply makes some people good and some people bad by merely His own discretion or arbitrary choice — and apart from anything pertaining to the individual? In the comparative use of God being the Potter and His people the clay, we must be careful not to infer more than what the Lord intended. For is it God who makes people to be liars, thieves, murderers, gossipers, drunkards, immoral persons, and any other specific kind of sinner that you can imagine? How could God, who commands us not to sin and doesn’t even tempt anyone to transgress (1 Jn. 2:1, Jms. 1:13), be charged with causing every sinner to unchangeably do whatever wickedness that person will do? And if man sins because God fashioned him to, then how could a sinner ever be accountable for his own actions? The same can also be said about those whom God wants to live righteous lives. Isn’t that what He really wants all to do? Yet, similarly, that, too, requires the individual to make up his own mind to live that way. For we are each responsible for determining the course of our lives, whether it be for good or for evil; and we do that with the free will that God has given to each one of us. Though God’s greatness, if illustrated with the dimensions of space would be infinite, while ours would hardly be the size of a grain of sand, yet man has the ability to stubbornly, foolishly, or for whatever reason, keep the power of God out of his life. And that is because the Lord will not intrude. He does not force His will against another. Rather, His word is to be lovingly and willingly obeyed through humble submission. But though God does not coerce His way into the heart of others, He sometimes will use events or circumstances in His divine providence to help the hardhearted and erring come to their senses and turn from their wicked ways and return to Him. We saw recently that this was the case of the Psalmist who points out that “Before I was afflicted I went astray, But now I keep Your word” (Psa. 119:67). He saw “good” in being afflicted, for it led him to the study of God’s word (v. 71). For another example, Hosea’s wife Gomer had left him. She had the spirit of harlotry and was going after her lovers and looked to them for her bread, water, wool, flax, oil, and drink (Hos. 2:5). But consider what God was going to do: “Therefore, behold, I will hedge up her way with thorns, And I will build a wall against her so that she cannot find her paths. She will pursue her lovers, but she will not overtake them; And she will seek them, but will not find them…” (vv. 6,7). God was going to make her wrongful way more difficult for her. As a result, “…she will say, ‘I will go back to my first husband, For it was better for me then than now'” (v. 7). Gomer was just one person, but the Lord has also dealt with many in similar fashion. For instance, God says, “I have surely heard Ephraim grieving, ‘You have chastised me, and I was chastised, Like an untrained calf; Bring me back that I may be restored, For You are the LORD my God'” (Jer. 31:18). Of course, the affliction that God would bring, whether directly during the Old Testament Period or providentially in our time, has not always caused the wayward to repent. Various factors can hold one back; but it can all be summed up as putting ourselves above God, wanting to have our own way, rather than His. In rebuking Judah for a time they went into idolatry and had as many false gods as their cities, God says, “‘Why do you contend with Me? You have all transgressed Me,’ declares the Lord. ‘In vain I have struck your sons; They accepted no chastening. Your sword has devoured your prophets like a destroying lion” (Jer. 2:29,30). They cannot say that God did not reach out to help them. They simply rejected His help. While God’s word will sometimes cause folks to be “pierced to the heart” and want to respond to the gospel plan of salvation like those 3,000 on the day the church was established (Acts 2:36-38), in other cases, individuals were “cut to the heart” with that message and reacted by gnashing their teeth at the messenger and stoning him to death (Acts 7:54-60). It wasn’t the message, it was the condition of the hearts of the people that made that difference in their reactions. In 2 Corinthians 2:14-16, for example, Paul figuratively speaks of the knowledge of God as being “a sweet aroma”; and, therefore, also says that “…we are a fragrance of Christ to God among those who are being saved and among those who are perishing; to the one an aroma from death to death, to the other an aroma from life to life…” So, again, what made the difference wasn’t the message; but, rather, the hearts of those who heard it. As pointed out earlier, God doesn’t cause anyone to be evil. Many simply choose to be that way. For we are born into this world in an innocent state (cf. Matt. 18:3; 1 Cor. 14:20; Luke 12:16) and do not become sinners until we reach an age of accountability and violate God’s law. For “…sin is the transgression of the law” (1 Jn. 3:4). As Solomon wisely declares in Ecclesiastes 7:29, “…God made men upright, but they have sought out many devices.” These “devices” have been referred to as “an immense number of inventions, in order to find happiness in the world, without God, which have only proved so many variations of impiety and iniquity” (Treasury of Scripture Knowledge). For instance, in the days of Adam and Eve, it was the forbidden fruit. In the time of Noah, “…the wickedness of man was great on the earth” and “every intent of the thoughts of his heart was only evil continually” (Gen. 6:5). In our time, the world abounds with sin that keeps people in a lost condition. Metaphors can illustrate a point, but we must be careful not to deduce more from them than is intended. In God being the potter and His people being the clay, does this mean that they are just a mindless, will-less, irresponsible entity in the Potter’s hands, like an actual lump of clay? Surely not. For one thing, in order for clay to be molded, it must be malleable. For if it hardens, it cannot be shaped. So we can think of this malleability as representing man’s willingness and determination to yield to God, and faith and obedience to His word as what it takes to put ourselves in the Potter’s hands. And when one does so, then the Lord can truly work in that individual. Compare, for instance, Philippians 2:12,13 that shows the need for man to cooperate with God. Preceding the thought that “it is God who is at work in you, both to will and to work for His good pleasure,” is the instruction for the Christian to “work out your salvation with fear and trembling.” So to have God working in us, we need to also be cooperating with Him. 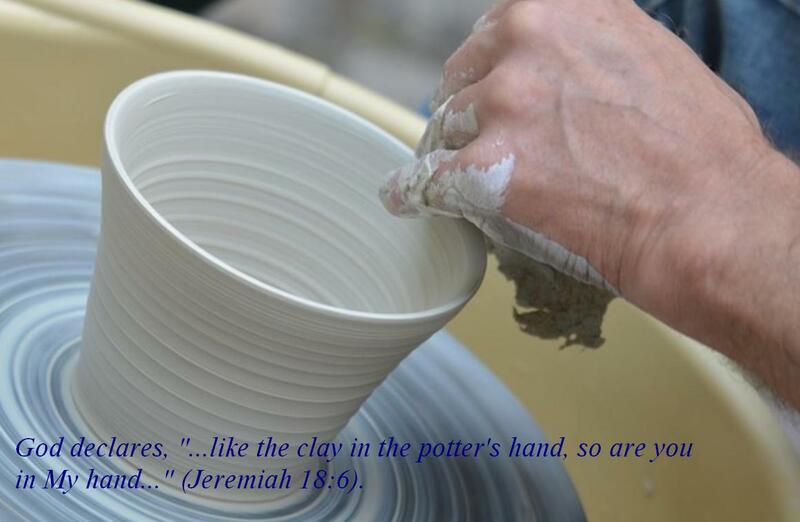 The idea of God being like a potter is also seen in Jeremiah 18. God told Jeremiah to “Arise and go down to the potter’s house, and there I will announce My words to you” (v. 2). Jeremiah obeyed. He saw the potter making something on the wheel. But Jeremiah also noticed that the object was spoiled, so the potter reworked it into another vessel to his liking. God then said, “‘Can I not, O house of Israel, deal with you as this potter does?’ declares the LORD. ‘Behold, like the clay in the potter’s hand, so are you in My hand, O house of Israel. At one moment I might speak concerning a nation or concerning a kingdom to uproot, to pull down, or to destroy it; if that nation against which I have spoken turns from its evil, I will relent concerning the calamity I planned to bring on it. Or at another moment I might speak concerning a nation or concerning a kingdom to build up or to plant it; if it does evil in My sight by not obeying My voice, then I will think better of the good with which I had promised to bless it'” (vv. 6-10). So what do we see in this? God’s course of action was based on the direction that His people had chosen to go. It would either lead to blessings or wrath, depending on whether they would choose the way of the Lord or not. This same principle is also seen in the New Testament: “Now in a large house there are not only gold and silver vessels, but also vessels of wood and of earthenware, and some to honor and some to dishonor. Therefore, if anyone cleanses himself from these things, he will be a vessel for honor, sanctified, useful to the Master, prepared for every good work” (2 Tim. 2:20,21). How does one become an honorable vessel? By cleansing himself from “these things,” which refers back to the “wickedness” in verse 19, which requires being “sanctified” in Christ, thus also becoming “useful to the Master” and “prepared for every good work” (v. 21). So we are the work of God’s hands as we submit to His word to work in us — and we certainly can put the emphasis on God’s part in all of this. For without Him, our own achievements would be nothing. For as Jesus informs, “…he who abides in Me and I in him, he bears much fruit, for apart from Me you can do nothing” (cf. Jn. 15:5). May we each, therefore, always look to God through His word and yield to that message so that the Lord can fashion us into the people He wants us to be! You are cordially invited to our Gospel Meeting that will be April 26-29 at the Tebeau Street church of Christ in Waycross, Georgia. Phillip Owens, who had preached here for several years in the 80s and 90s, will be our guest speaker. Sunday 9 AM: Phillip will be teaching the adult Bible class. For additional information, you can check out our website at http://tebeaustreetchurchofchrist.org/about-us/ or contact Tom Edwards (preacher for the Tebeau Street church of Christ) at 912-614-8593 or Bud Montero at 912-337-3794. Is the flood of Noah’s day just a myth, as some people would refer to it? Is it just a fictitious story to alert us of God’s attitude toward sin and to help us see the need for faithfully serving the Lord, lest we fall under His wrath and condemnation? What does the Bible teach and indicate about the flood? Let us first of all note that it is recorded as factual in the book of Genesis 6-9, and is also mentioned elsewhere in the Scriptures as an actual event. For instance, Genesis 10:1 reads, “Now these are the records of the generations of Shem, Ham, and Japheth, the sons of Noah; and sons were born to them after the flood” (emphasis mine). The chapter goes on to list many descendants and then concludes by saying in verse 32, “These are the families of the sons of Noah, according to their genealogies, by their nations; and out of these the nations were separated on the earth after the flood” (emphasis mine). How could so many real people be described as having been born “after the flood,” if the flood were just a mere myth? Jesus Himself also refers to Noah and the great flood in Matthew 24:37-39 in likening it to the unexpected nature of His coming, that all will seem like just another ordinary day until the event would suddenly happen and take them by surprise. And where that is also mentioned in Luke’s account, there is the additional likening to “the days of Lot” (Abraham’s nephew) and the destruction of Sodom (Luke 17:26-30). So just as real, as the person of Lot and the place of Sodom, is the great patriarch Noah and the flood of his day. Noah was a real person; and though not mentioned among his many descendants in Genesis 10, you are also one of them! For we can all trace our ancestry back to him — every person of every race! When you think of Noah, what is the first thought that comes to your mind? Would it not be the flood and his building the ark? He is commended for that in Hebrews 11:7, which is in a chapter that mentions various real people who were obedient to God because of their faith in Him, such as Abel, Enoch, Abraham, Moses, Gideon, Samson, David, and Samuel. But how could Noah even be mentioned among all these great people of faith if the flood account were merely a fictitious story? Peter also refers to a people “who were once disobedient, when the patience of God kept waiting in the days of Noah, during the construction of the ark, in which a few, that is, eight persons, were brought safely through the water” (1 Pet. 3:20). A real people, a real God, a real Noah, real days, a real ark that had to be built, real water, and a real safe deliverance! What out of this list would you want to make fictitious? So the Bible makes it clear that the flood actually did occur. Perhaps the idea of it being global, however, causes some to disbelieve. Of course, there are those who simply view the flood of Noah’s day as occurring in just a small geographical region, around where Noah lived, rather than covering all of the earth. But what does the Bible say about that? “The water prevailed more and more upon the earth, so that all the high mountains everywhere under the heavens were covered. 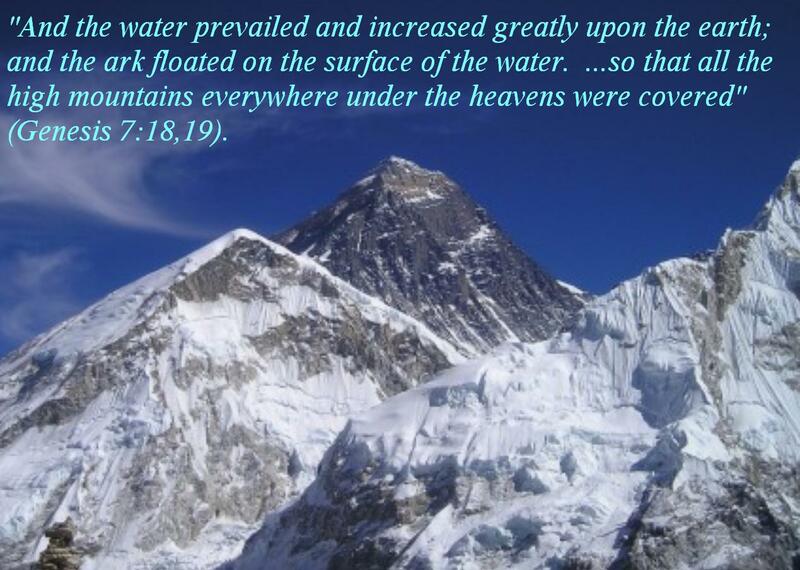 The water prevailed fifteen cubits higher [22.5 feet], and the mountains were covered” (Gen. 7:19,20). Peter also speaks of the world in time’s past when it was destroyed by “being flooded with water” in 2 Peter 3:6. God did away with the old world to make it new. This might remind you of the time when the Lord first made this planet. For in the beginning it was covered with water everywhere (Gen. 1:2); but when God then said, “…’Let the waters below the heavens be gathered into one place, and let the dry land appear’…” (v. 9), He then “…called the dry land earth, and the gathering of the waters He called seas…” (v. 10). So it was certainly a new world for Noah and his family to step out on, after the flood waters subsided and land appeared. The creatures on board were now free to roam and find places to their liking, and gradually their different kinds would increase. The earth would also once again abound in vegetation, greenery, and the beauties that appeal to our aesthetic nature. What a beautiful and unpolluted world it must have been, and God wanted it to be repopulated for others also to enjoy. For after blessing Noah and his sons, the Lord then said to them, “Be fruitful and multiply and fill the earth” (Gen. 9:1). And let me add that had they not obeyed that, I would not be here to tell you about it, nor would you be here to listen. We can also infer from God’s promise that “…all flesh shall never again be cut off by the water of the flood, neither shall there be a flood to destroy the earth” (Gen. 9:11), that the Lord meant all the earth, that the flood of Noah’s day was global, rather than just covering an area in which Noah lived. For otherwise, God would not be keeping His word every time a flood occurs somewhere. But He, however, cannot lie (Titus 1:2). The flood of Noah’s day should instill within us how serious sin is and how our iniquities can affect our Creator. For “…the Lord saw that the wickedness of man was great on the earth, and that every intent of the thoughts of his heart was only evil continually” (Gen. 6:5); and God “..was sorry that He had made man on the earth, and He was grieved in His heart” (v. 6). He then said, “…’I will blot out man whom I have created from the face of the land, from man to animals to creeping things and to birds of the sky; for I am sorry that I have made them'” (v. 7). Yet, even in spite of that, the Lord still wanted to see these people repent and be saved; and He, therefore, gave them ample time and opportunity to do so. As Peter states, “The Lord is not slow about His promise, as some count slowness, but is patient toward you, not wishing for any to perish but for all to come to repentance” (2 Pet. 3:9) — “and regard the patience of our Lord as salvation…” (v. 15). Noah was a “preacher of righteousness” (2 Pet. 2:5); and just as the prophets had “the Spirit of Christ within them” (1 Pet. 1:11), even so Noah would have also preached by that Spirit. In that way, it is said that Jesus “went and made proclamation to the spirits now in prison, who were once disobedient, when the patience of God kept waiting in the days of Noah, during the construction of the ark” (1 Pet. 3:19,20). For it was “in the spirit” (v. 18) that the Lord did this through the preaching of Noah to the people of his day — but they did not take heed. And when they died, after rejecting the goodness of God, they went to the Hadean realm where they are “now in prison” and awaiting the final judgment (v. 19). Cf. 2 Peter 2:4-9. So God’s patience will eventually become exhausted, in the sense that the opportunity for His salvation is time-limited, such as in the case of Noah’s day. For the Lord states, “My Spirit shall not strive with man forever, because he also is flesh; nevertheless his days shall be one hundred and twenty years” (Gen. 6:3). It was during that long period that Noah preached to the people and continued to work on the ark, but was probably often viewed as a laughing stock to many who saw and heard him. He, however, not only persevered until the deed was done, in spite of the ridicule and rejection, but also did his work reverently unto the Lord. For the record states, “By faith Noah, being warned by God about things not yet seen, in reverence prepared an ark for the salvation of his household, by which he condemned the world, and became an heir of the righteousness which is according to faith” (Heb. 11:7, emphasis mine). Noah’s righteous life and sincere dedication to God would have also caused those, to whom he preached, to realize even more of their unholy and lost state, as his godly life greatly clashed with the sinful behavior of their own lives. As Noah and his family found safety in the ark to save them from a perishing world, we can also find refuge and salvation for our souls in Jesus Christ. For “…there is now no condemnation for those who are in Christ Jesus” (Rom. 8:1). And Paul shows the way we get into Christ to include baptism: “For all of you who were baptized into Christ have clothed yourselves with Christ” (Gal. 3:27). Of course, faith in Jesus (Jn. 8:24), which comes through hearing God’s word (Rom. 10:17), repentance (Luke 13:5), and acknowledging our faith in Christ (Rom. 10:9,10; Acts 8:36-38) are also necessary in order to make baptism valid. Peter also cites Noah and his family being “brought safely through the water” (1 Pet. 3:20) to illustrate baptism today. For he declares in the next verse, “Corresponding to that, baptism now saves you…” (v. 21). Baptism now saves us by bringing us safely to “the forgiveness of sins” (Acts 2:38), to salvation (Mark 16:16), and to “newness of life” (Rom. 6:3,4), in which we are “new creatures” (2 Cor. 5:17). When penitent believers obey the gospel plan to be forgiven and become Christians, God Himself then adds them to the church (Acts 2:47), which is referred to as being “the body of Christ” (Eph. 4:2). And the importance of being in that body can be inferred from Ephesians 5:23, which speaks of Jesus as being “the Savior of the body.” So we can also think of the church as metaphorically being a type of “ark” that we must be in today in order to be saved from the wrath to come. May the account of the great flood of Noah’s day, as recorded in the Bible, help instill within us the proper attitudes toward sin and righteousness and also give us the incentive we need toward putting God first in our lives and keeping Him there. Have you ever visited a place that you hadn’t seen for 20 years or more and when you did, you saw that so much of it had changed? Perhaps it was the area in which you grew up, having spent many years there; but then moved away and hadn’t been back for decades — until recently. Sometimes it can be interesting to see those places again. But when nostalgia is one of the motivations, it can be rather sad to see so much that is now different and not at all like you remember it. Of course, even those places of the distant past that have remained pretty much the same, might now appear to you as if some of the houses had shrunk and were not quite as big as you had remembered them. You might also be somewhat disappointed to see that some of those areas have become a little rundown or shabby. And even when much of the change would be an improvement, you still might prefer to see some of those old places just the way they used to be, in order to match up with your recollection of them, while reflecting on memorable times. Time itself brings change to everything — though at different speeds. A diamond, for example, will certainly outlast a banana. But much of what we see is far from that lasting quality of the diamond. In one of my trips back to where I had been raised, after having been away for many years, I felt a little sad in seeing so much that looked so different. But where I then found comfort was in realizing that, regardless of how much change there would be around me, I could rest assured in knowing that God never changes (cf. Mal. 3:6); and if I, therefore, live to be 100, His word will also still be the same! 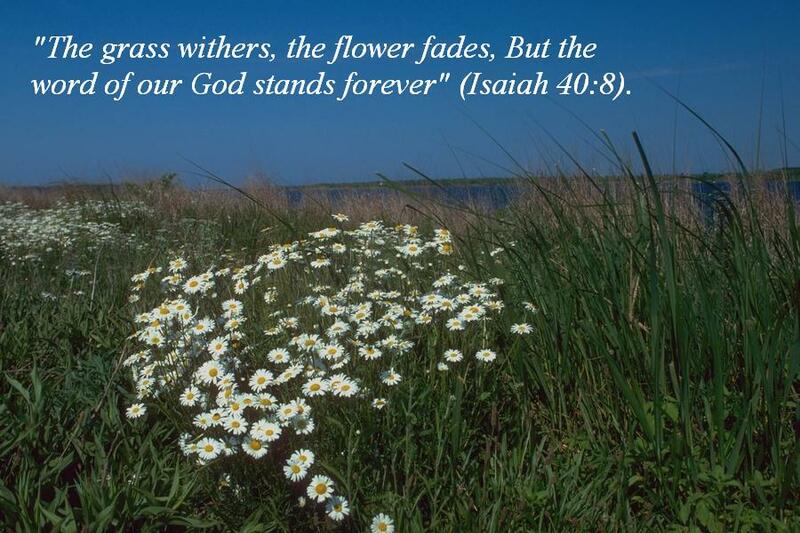 As Isaiah writes, “The grass withers, the flower fades, But the word of our God stands forever” (Isa. 40:8). Unlike everything else that we know, which grows old with age, God is eternally “new.” He doesn’t age. The Lord will not be a day older tomorrow nor a year older next year. God doesn’t even dwell in time. He dwells in eternity. And concerning God’s Son, the Bible states that “Jesus Christ is the same yesterday and today and forever” (Heb. 13:8). He, too, does not change. For though He came into this world through the virgin Mary, about 2,000 years after Abraham was born, yet the Lord was still able to say, “…’Truly, truly, I say to you, before Abraham was born, I am” (Jn. 8:58), which expresses His eternal nature. In writing of Jesus, the Hebrew writer also declares, “And, ‘You, Lord, in the beginning laid the foundation of the earth, and the heavens are the works of your hands; they will perish, but you remain; and they all will become old like a garment, and like a mantle you will roll them up; like a garment they will also be changed. But you are the same, and your years will not come to an end'” (Heb. 1:10-12). The “years” in this passage is accommodating language to better relate to man, such as when the Lord states in Genesis 18:20,21, “…’The outcry of Sodom and Gomorrah is indeed great, and their sin is exceedingly grave. I will go down now, and see if they have done entirely according to its outcry, which has come to Me; and if not, I will know. '” Does God have to literally “go down” to a place to know what is going on there? The Bible says that “The Lord looks from heaven; He sees all the sons of men” (Psa. 33:13). Similarly, even though God is spirit (Jn. 4:24) and “not a man” (Num. 23:19), nor “flesh and blood” (Matt. 16:17), yet He is anthropomorphically described so we can better relate to Him with those human characteristics of having “hands” (Exod. 15:17), a “finger” (Deut. 9:10), a “face” (Num. 6:25), a “mouth” (Psa. 33:6), “lips” and a “tongue” (Isa. 30:27), “eyes” and “ears” (Psa. 34:15), “nostrils” (2 Sam. 22:16), an “arm” (Psa. 89:10), and “feet” (Nah. 1:3). Time to us is linear, such as a timeline. We also view time as past, present, and future, and can depict “now” as if it were an ocean wave that we are riding with a surfboard toward the shore. “Now” keeps moving forward in time. But can we really conceive what it must be like to dwell in and relate to eternity? For we are a people who are always changing or becoming; but God is and always has been a changeless perfection without ever having the need to improve anything about His nature. And He is already eternal in a realm apart from time. And though Jesus’ earthly body had a beginning when borne of Mary, yet the true essence of the Lord has always existed. For He “is from the days of eternity” (Mic. 5:2) and just as eternal as His Father in heaven. Jesus says of Himself, “I am the Alpha and the Omega, the first and the last, the beginning and the end” (Rev. 22:13). Consider also Revelation 1:17 and 2:8. The eternal nature of God is also expressed in the name that He told Moses to use in referring to Him. For Moses wanted to know what name he should say when the sons of Israel would ask him who sent him. And “…God said to Moses, ‘I AM WHO I AM’; and He said, ‘Thus you shall say to the sons of Israel, “I AM has sent me to you”‘” (Exod. 3:13,14). The Hebrew word for “I AM” expresses God’s “unchanging and eternal Being” (Albert Barnes), that He is self-existent, self-sustaining, self-sufficient, and is always the same. Consider also Psalm 90:2: “Before the mountains were born Or You gave birth to the earth and the world, Even from everlasting to everlasting, You are God.” We are not told in this passage that “from everlasting to everlasting, You WERE,” “You HAD BEEN,” nor ‘You WILL BE”; but, rather, “from everlasting to everlasting, YOU ARE GOD” (emphasis mine). Yes, the Lord already is everlasting! It is not just something He used to be or one day will be. And as our great eternal God, He never changes; and His word for us today, as recorded in the Scriptures, will be the same as long as time shall last. As Jesus states, “Heaven and earth will pass away, but My words shall not pass away” (Matt. 24:35). May we each find great comfort in that! Not only is God great because of His eternal nature, His supreme power, and His superior intelligence, but also because of His great love for us. And because of that, He can be, as we recently saw, “…our refuge and strength. A very present help in trouble” (Psa. 46:1); and why we need not fear, “…though the earth should change And though the mountains slip into the heart of the sea” (v. 2). Yes, change will continue to take place to our world and eventually to our entire universe in a very major way when it will all be destroyed and cease to be (cf. 2 Pet. 3:10-12). But, again, God will never change; and for those who accept Him by their faith and obedience to the gospel, they will also be able to dwell forevermore in that blissful place where all can be described as being eternally “new” or ageless. What a wonderful, timeless place for each of us to be striving for; and where we, too, can enjoyably be forever “new”!